(CNS): Volunteers who walk dogs, foster the abandoned pets and offer their services to assist the local Humane Society are embroiled in a row with the charity’s officials over a new waiver they have been asked to sign which the society says is a requirement of its insurance cover. As a result of what the charity officials say is the unregulated behaviour of volunteers and the need for insurance at the pound, dog walkers and other helpers are being asked to sign the document, which sets out the rules and regulations. But some volunteers have objected and have made accusaitons about management wanting too much power. Some of the volunteers say they ar concerned about a clause in the waiver that prohibits them from being charity directors or being formally employed by the society, which, they say, has nothing to do with insurance. 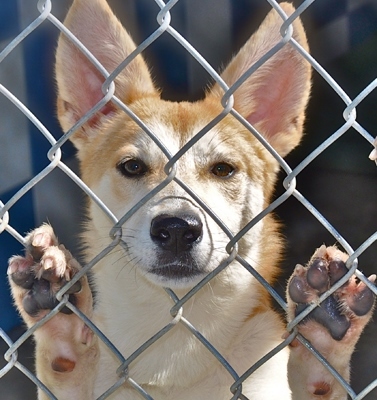 The local television channel Cayman27 spoke to Terrie Farrington from the charity's board, who said that unless the volunteers sign the waiver they will no longer be allowed on the premises to take care of the furry residents at the pound. She described the volunteers as being “obstructive”, but volunteers believe it is about limiting their power and concentrating power in the hands of the charity’s management. The charity claims this is not the case, and while a few volunteers have refused to comply with the waiver, new walkers have joined and the dogs, contrary to comments on Facebook, are being walked and taken care of as usual. “It’s business as usual here,” said Farrington. In a statement posted on the charity's website, the management accused some volunteers of making "threats" to the board and management. The statement said it was from "a very small minority" as a result of "a narrow focus and without regard to the big picture." The officials said the waiver for all volunteers is necessitated by the society's new insurers after the old cover was terminated because of the actions of some volunteers. "Without insurance, we cannot remain open. Fortunately, we have been able to obtain cover from an alternative provider. This insurance cover is only available to us if each and every volunteer signs the insurance waiver," the statement on the site reads. "We simply cannot afford to go bare of insurance cover in this litigious age. We are cognizant, however that we cannot function without our volunteers." The management said the charity could no longer function in the way it had "with volunteers coming and going as they wish, without the approval of management". The statement said volunteers could not arbitrarily take animals for medical treatment, running up hundreds of dollars in vets bills, without the knowledge of management, nor could the society afford to cover the cost of disappearing foodstuffs. The documents were drawn up by lawyers and compare to waivers used at other shelters and charitable organizations, the Humane Society stated. See more at the Humane Society website. Perhaps someone can answer for me do they have to be the only game in town? Could the dedicated volunteers not band together and start their own SPCA (Society for the prevention of cruelty to animals) perhaps there is a volunteer who has a chunk of land a bit further out from town where a proper facility could be raised and truly ran as a not for profit with the welfare of the animals truly observed? For years while I donate and have adopted from the present society I have been offended as my attempts to suggest alternatives and to volunteer on a deeper level have been rebuffed. I know one will argue that if it is away from town no one will come see the animals or it is harder for the volunteers or to drop off donations but across various countries the shelters are frequently located where play yards can be developed and mobile vans are outfitted for road “shows” and drop off sites are placed at businesses who want to participate….just saying perhaps the volunteers and the animals would benefit from a better formed more democratic SPCA…in a different location sponsored and paid for by the volunteers. Perhaps charity dinners could be more affordable as the typical volunteer can’t afford $150 per person to attend the event even though they do all the work…just some thoughts. Whilst this small band of non conformists bleat, most volunteers recognise this as a non story stirred up for who knows what reason. I and my friends walk dogs and signed up. It is very sad that a couple of people are generating so much unneeded poison. The animals are not being sidelned, the staff and a LOT of volunteers are still there and looking after them. Get on with it! You clearly must be a recent volunteer or you would know the issues that the long time volunteers are arguing about and want to have addressed. It is a small band but they are the most dedicated group of volunteers I have ever had the priviledge to know. They would also be happy to get on with it as you say but they can't because they would like a say in the way that the shelter is run and can't do so because their suggestions are not listened to. Some years ago one of my dogs ran to play on a beach nearby my home. Tourists on the beach renting or living in a condo had children who played with the dog then took it in their condo and fed it t-bone steak. The young dog of course thought my-my look at what I've been missing I get that dog food from home. So It wouldn't go home. I had to go to the beach but couldn't find the dog .Finally when the children were playing with it outside on the beach one day my wife and I saw the dog and explain it was our dog. We were able to get it back. Of course many would say well feed the dog more human food or don't let it go. But of course the dog would like to put its 2cents in the equation. Why did you not play with me and enjoy the time then let me go? Maybe don't play with strange dogs? Maybe if it was in heat then just leave it alone it will go back to its master. Of course some would say but its master isn't nice. Then leave it to the authority but at least give it sometime. At that that time is when it goes to the humane society. Then you must pay $90 to get it back once they check that the dog has a proper place to live in and proper medical care. With so many people losing their jobs and facing lower salaries its hard to pay such high amounts of money. But you love your dog, so you have to make a decision. You finally give in and claim you're doing the best thing for the dog. They will adopt the dog out for you. But they claim they need help to keep the dog so you can't afford $90 but you can give $25. What? Wait a minute , why do I have to pay so much money? Have any of you been there? They sell clothes that they get for free, they get free labour, plus they have functions and sponsorships. Why so expensive? It doesn't cost that much money to buy food . Someone is always offering to walk the dogs for free otherwise the dogs are kept in litttle cages. The dogs don't need that much care when it was living in an apt. It could roam all over an apt. Why is it better care in a cage? I am sure that if this humane society is connected to the dog groups in the USA they could adopt very easily. So why can't they do that? It would be better then leaving them in cages. How many people are on staff ? How much are they earning? Whats their costs ? Maybe Gov't can take them over? Their are many people who could work in a place like this on island . They would love taking care of dogs for a small pay say $1000-1200 per moth? How would that help in getting a proper kennel? Dogs need space to run and play. Someone needs to check to see if they can take it over. Can they have other people elected to the board ? How long since they have had a new board? Is it a private company? So many questions Can maybe the spokeperson write something? What I THINK you're saying is that with all the do-gooders offering free labour, old clothes for sale, cash donations and so on why does the Society need to charge people like you ANYTHING towards the taking-in, fostering or upkeep of your dog? It's tragic that someone could think the way you do. So little sense of responsibility, such a big sense of entitlement to a free service. The Humane Society picks up after you and your ilk with its unpaid volunteers. Hey come on let’s be fair. There’s no way anyone can understand what that person was saying. Don’t invent an interpretation just to peddle your own views. I believe you need to go as often and talk to the actual people at the HS and see the "do-gooders" do their stuff. Not to say that some of the people who actually work there are not doing there best in a bad situation. But THEY need to do better. Dogs are kept in cages small cages. Don't preach unless you see what you are talking about. Dogs need to run walking is not enough. If i had my dog in a cage at my house and you do-gooders came to observe the dog there what would you say? Irresponsible, negligent, abuser etc, etc. What about if the cage was full of dog poo? all day? You would want to take me to court right? At the end of the day, the Humane Society is a charity. They're not supported but by volunteers and donations and for an island as small as ours we have a lot of animals that are abandoned, mistreated and rejected. What they do is honourable, the powers that be within the HS just need to be more tactful about the way they approach certain situations. I suspect the poor dog in question could make more sense. Just wanted to add my two cents worth to the problem with the Humane Society and its building.All of this would not be needed IF the many locals (not all) who DONT take care of their animals and would STOP giving their kids the cute and cuddly animals until they get bigger and then they are just dumped. They are in many cases not properly taken care of and .this has been an ongoing problem ever since I came to this island in 1965 and it seems to be getting worse with each passing year.If you cant take care of your pets DONT HAVE THEM and stop taking them into the bush and leaving them there or dropping them off in someone elses yard.Its time that many locals(not all)take the responsibility of teaching their children and themselves how to treat animals with respect.Its a shame how many animals are treated here and we should all be ashamed of this situation. On many things you and I can agree, but I would like to respectfully remind you that the Humane Society and other like minded organizations was started in various other countries, so I guess they must also have a problem with human treating animals poorly. I'm a multi-generation Caymanian and I've spent my childhood taking care of strays in our old neighborhood. As an adult I've kept my pets indoors, spayed/neutered them, taken then to the vet as needed and treated them alike family. Because that is my CHARACTER. Like everything else, this is a wold wide issue, like drugs, bad leaders, etc. XXXX the insurance issue has nothing to do with the clause 3 of this new volunteer form that you are wanting us to sign. this clause restricts the volunteers ability to become directors or employees and that is what they are not wanting to sign off on. Remove that clause and see how many volunteers sign your insurance form. Likely all will do so. Don't dare blame this mess on all of the hard working and caring volunteers who work tirelessly every day for the animals. 3. No Compensation – I agree to provide my services without compensation I agree that I am not and will not become an employee, agent, contractor or principal of CIHS upon execution of this agreement. Lots of dedicated volunteers feel it is giving away their right to one day be a Director. I think it is very easy to see why. It is also a bit of a concern for young Caymanians who are being asked to give up their right to be employed there if they want to walk dogs. A lawyer writes: it doesn’t say you can’t become an employee, agent, contractor etc AFTER execution of the agreement. Just “upon” it. If they think that the clause has that effect that then they are too idiotic to be a director or an employee. Right on. Day not smart like you and me. This is being interpreted wrong. What it means is that you are not an employee so they are not responsible for your insurance, pension, etc. You are self-employed. It doesn't mean that you can never work for the Humane Society. My husband enetered a contract similiar to this for a construction company. With perhaps one or two exceptions, the HS Board has evolved into a self-serving body interested in personal power and prestige, starting from the top. They can claim they work in the interests of the animals but actions speak louder than words. With regard to the volunteers who put in thousands of working hours on behalf of the animals working/cleaning etc (rarely a director to be seen except at public events particularly where there might be the Press), this is a classic example of that well known phrase 'Lions led by donkeys'. This controversy over the recent form is just the tip of the iceberg and just one autocratic decision too many in the eyes of many of the volunteers no matter how the HS try to spin it with 'a very small minority'. Just one example of how the volunteers are treated is the statement not mentioned on CNS that 'previous insurance was lost due to actions of the volunteers'. Previous insurance was in fact lost due to a director stating in the CayCompass recently that the building was in a great state of disrepair. Almost immediately after that statement the insurance was withdrawn. As usual, it's the poor animals caught in the middle who are likely to suffer. Any animal lover should call on the board to forget their jockying for power and feeding their ego's (I'm a director don't you know), stop the back stabbing of each other (you know who you are) and think animal welfare FIRST, not second. Somting stinks at the HS and its not the animals poop. The Humane Society doesn't sound very grateful for a non-profit organisation. Have they stopped to think that we are giving up our time to help them out by walking and petting the animals? I go there alot and the staff DOES not interact with the animals on the level as the volunteers. Maybe they are no longer non-profit based on how forcefulthey are with the above statements. Can't win around here and then they wonder why people look to help countries off Island instead. The thanks is received and apprecisted. That's why. When last did Ms Farrington issued a thank you letter for all the itiems they've recived for the book loft and thrift shop? Time to open that Korean restaurant. I thought it was funny. But then I wrote it, so I would. And it was funny….. to you. To me it was dumb. I understand this because most of my humor is just to entertain myself. We are probably already eating cats and dogs and don’t evenknow it – I’m sticking to seafood, no mistaken that for sure! The dogs bred for meat are different breeds from domestic dogs.